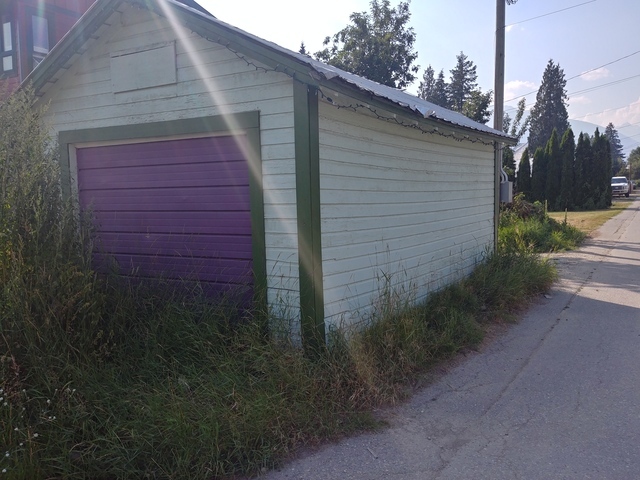 Garage with bay door, man door and one window. Tin roof. Measures approx. 12' X 18'. Remove as a whole building or take material in parts.